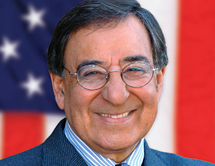 Secretary Leon Panetta was born and raised on the scenic Monterey Bay coastline of California, an area he later served as a Member of Congress before becoming Chief of Staff in the Clinton White House, Director of Central Intelligence and U.S. Secretary of Defense under the Obama Administration. He led the prestigious Pew Ocean Commission, a non-partisan, blue ribbon panel that examined the health of our public seas and in 2003 released their findings on the need to address overfishing, pollution and other threats to the ocean. This noteworthy report was a wake-up call for our nation, ushered in a federal commission and led to the U.S. National Ocean Policy now being implemented. As a Member of Congress, Panetta played a central role in the establishment of the Monterey Bay National Marine Sanctuary in his home waters. He remains an engaged advocate for restoring the blue in our red, white and blue nation.